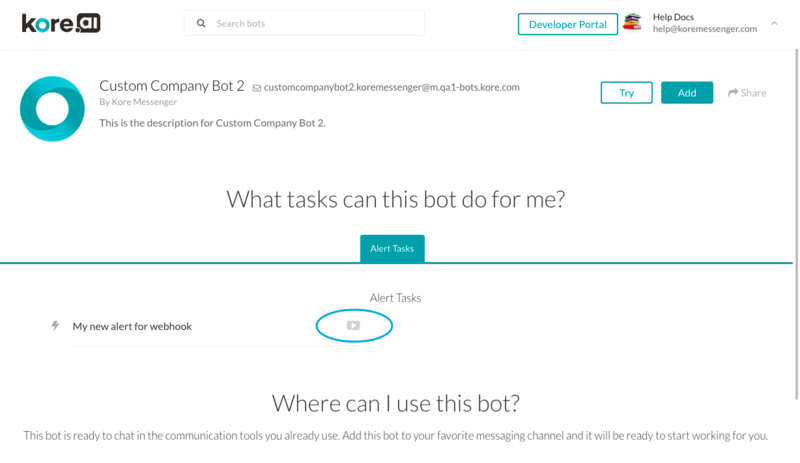 After you select or create a Bot in Bot Builder, you can add a task to the Bot. For more information, see Creating a new Bot. This topic describes how to configure the settings for the General tab, which is the first step in defining an information task. For more information about the process of creating a task, see About Information Tasks. On the Bot Tasks page, hover over the Information Task tab and click the plus icon. After you define your information task and then click Save, you may need to set up authorization to access the Bot if authorization is required. For more information, see API Request Tab – Authentication Settings for an Information Task. If authorization is not required, the next step is to define one or more request objects to get any data required for the task from the Bot. For more information, see API Request Tab – Information Task – REST or API Request Tab – Information Task – SOAP.